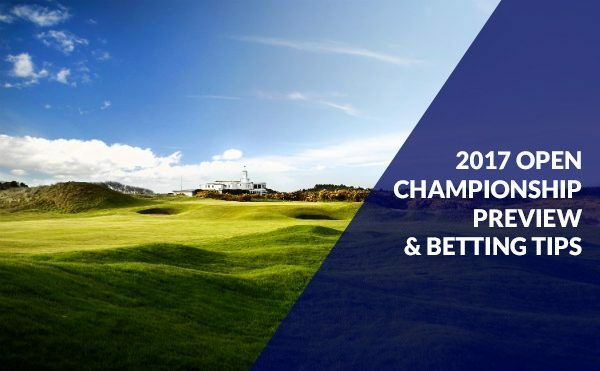 We’re pleased to bring to you our 2017 Open Championship Preview, expect outright winners, outside bets and the best player to miss the cut. The 146th Open Championship is to be held at Royal Birkdale in Southport for the 10th time this week, having first held The Open in 1954. It is one of the four courses in England on The Open Rota, with the others being Royal St George’s, Royal Liverpool and Royal Lytham & St Anne’s. 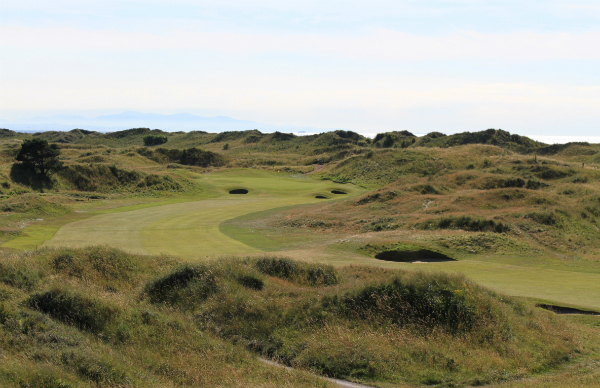 Royal Birkdale Golf Club dates back to 1889 and was awarded its’ Royal status in 1951, after hosting it’s first tournament in 1948 as Royal Birkdale was the venue for the 1948 Curtis Cup. Since starting back then, Royal Birkdale has hosted more Championships and events since WW2 than any other course in the world, including Open Championships, Ryder Cups, Senior Opens, Women’s British Opens and more. The last time The Open was played here was in 2008, which saw Padraig Harrington win by 4 shots over Ian Poulter to retain the title. This was an eventful tournament for Harrington as he almost had to withdraw before it started with a wrist injury after swinging his driver into a bean bag the weekend before. This clearly didn’t seem to phase him, however, as he used his links experience to triumph. This was also another year to forget for Greg Norman, however, has he led again going into a final day at a Major but a final round of 77 would see him drop to T3rd and 6 off Harrington. The course will play as 7,156 yards and a Par 70 this year for the professionals. Not quite the 8000+ yards we saw at the US Open but it will certainly be a tough test as the combination of possible 30mph winds and tight fairways with sand dunes left and right, makes this course play as a true links test. In fact, the last time The Open was held here in 2008, the winning score was +3 and players made the cut with +9 so you can expect some more high scoring this week if the wind picks up. Players will be faced with this tough test right from the outset as the first hole is seen as one of The Open’s hardest opening holes as ranked the 2nd hardest hole over the previous 2 Open’s held here. It plays as a Par-4, 448 yards with out of bounds right and a fairway which sweeps to the left around a bunker and over a mound to a narrow landing target, so it’s common for players to hit fairway woods or irons off this tee. This is not evening mentioning the wind direction, which is one of the key challenges facing players this week as rarely do holes follow in the same direction meaning judging the direction of the wind is tough from hole to hole. All in all, this course will favour the most accurate drivers off the tee this week to avoid the rough as well as an experience in links golf to stay out of trouble and more importantly a know-how of how to recover. Where is Royal Birkdale and how do you get there? 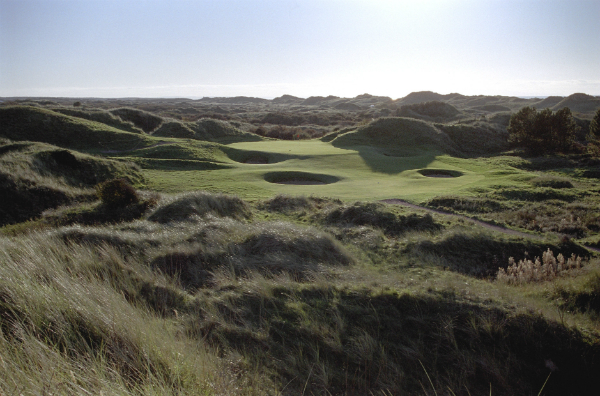 Royal Birkdale is located about 20 miles north of Liverpool City Centre in Southport along the West Coast of England, making it easily accessible for travelling supporters as it’s not far from the M6 and Hillside Station is within walking distance to the course should you be travelling by train. I think he overwhelmed the course in Ireland and was way ahead of the rest of the field, his confidence will be sky high going into this week. With The Open Championship just around the corner it is time to start looking at in form players. A great short game and good imagination is needed when playing top links golf courses. One man who has both of these is Rickie Fowler. After Sergio won The Masters in April, Rickie Fowler is now probably the best player in the world never to win a major. In my opinion, he is the best player of links golf in the world and his record in the Open Championship shows this. In 7 Opens he has only missed the cut once. His round of 68 in the 2011 Open, 3 shots better than anyone else in the field, is considered one of the all time greatest rounds in Open history, on a day when no other players shot par of better! He has every shot in the bag and the mental game to back it up. 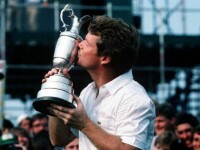 He has a great pedigree for links golf and one that stands out from the rest of the field for me. He has had an successful time of it over the past two seasons and won the Scottish Open on the Castle Stuart Links last season so worth a shot in my eyes, good odds too! Justin Rose. I’m going to play not only the quality card but also a nostalgic one. 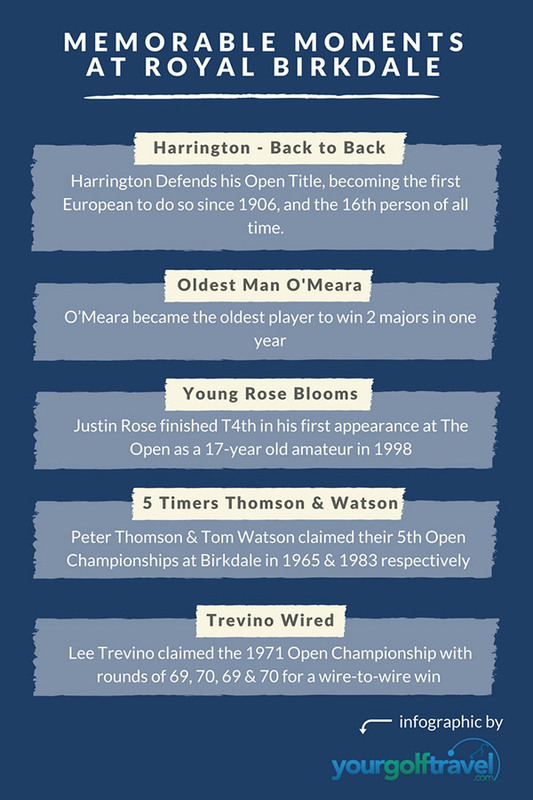 The 1998 Open Championship might have been won by Mark O’Meara but for me it was Rose that claimed that Open. His incredible performance as an amateur, including that memorable holed shot on the 18th to finish in a tie for 4th, just 2 shy of the playoff between O’Meara and Brian Watts. His previous outing at Birkdale was in the 2008 Open Championship and whilst a tie for 70th doesn’t exactly sound like form, Rose has enjoyed an enviable Major record in recent years having achieved 5 Top 10’s in his last 10 Major Championships. At 20/1 he is one of the tournament favourites and a win here will cement his position as one of England’s best in recent years. Although, currently we have seen 7 consecutive majors won by first-time winners, I think this spell could finally be broken and Adam Scott could be the man to do it. He’s finished 2nd, T3, T5 and T10th in his last 5 appearance at The Open so he’s definitely a player who has a knowledge of links golf, which is exactly what will be needed around Birkdale. And some may say, he’s not on the best of form but he’s performed quietly under the radar with a T9th finish at The Masters and a T6th finish at The Players. 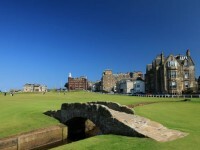 Who is the outside bet for The Open Championship? Brandon Grace, he ,loves a link course and majors. What’s not to like with great odds too. He lost in a play off at St Andrews a couple of years ago and is another one who likes Links golf. Otherwise known as Mr Consistent, Kuchar is definitely a player I wouldn’t be surprised to see high up the leaderboard. He’s hardly been mentioned this year but he finished T4th in The Masters and in his last 5 tournaments his worst finish is T16th, including a T4th finish last week at The Scottish Open so he’s coming into this event with some hot form at links golf. For an outside bet I would look at a couple of options. Soren Kjeldsen seems to pop his head up now and again in links events, tied 9th last year, he might be worth a small each way bet at big odds. Another each way bet would be Lee Westwood. Although he has never won a major he is always in the mix at the biggest events. I do not see him winning but I can see him coming in the top 10. Is 75/1 an outside bet? Brandt Snedeker is rightly considered one of the most consistent on the PGA Tour. His ball striking is up there with the very best and has no less than 9 Top 10 finishes in Major Championships. Keeping the ball on the fairway amongst the gusts will be key to scoring well here so “Sneds” ability to find the short stuff will be key to performing this week. If you want an even longer shot, Ryan Moore has incredible pedigree having claimed 5 PGA Tour titles as well as some of the game’s most sought after Amateur titles. Moore’s strength lies again in ball striking, so if the winds picks up and pars become hard to come by he should be a contender. Who will be the best player to miss the cut? Sadly got to say Rory. Would love him to win but cannot seem to putt at the moment. He’s been really off the pace this year and his head just doesn’t seem in the game at the minute with 2 missed Cuts in his last 2 events on the PGA Tour, so I really see Jason struggling to make the cut this week. He’s playing poorly at the minute missing something like 3 of 4 cuts. He needs to massively turn things around to make the cut let alone win. Jason Day…can’t hit a barn door currently. I think Rickie has a good chance to win don’t get me wrong, but I do doubt his ability to handle the conditions if it starts blowing a gust. We’ll see this week won’t we!? If you’d like to experience the action of The Open Championship in 2018, check out our new deals for Carnoustie below! Success at Royal Birkdale appears to be down to ball striking. Those that avoid the punishing rough that awaits an offline drive looks set to separate champion from chump. Taking 46% of the 496 votes was Spain’s Jon Rahm. His victory in The Irish Open at Portstewart has seen him storm into many a betting preview, the former world number 1 amateur has enjoyed an incredible 2017 with victories on both The PGA & European Tours, much is expected of the 22 year old who beat fellow Spaniard and Masters champion Sergio Garcia who took 30% of the public poll. Tommy Fleetwood also featured well with in the poll with 17% selecting “Other” as an option. Rory McIlroy, the top ranked European according to the Official World Golf Rankings, managed 7% of the votes. Who will finish as top European at #TheOpen? This was even more clean cut with Rickie Fowler, who has 4 Top 10 finishes in his last 5 tournaments, claiming no less than 62% of the 314 votes. Many believe Rickie will do well at Birkdale this year, courtesy of his ball flight and control which will be tested during a week on the Lancashire links. The World Number 1 and 3 took 14% and 16% of the vote respectively with Johnson and Spieth looking well behind the public opinion that the 2017 Honda Classic Champion will claim top spot amongst his countrymen. Just 8% selected “Other” suggesting that Rickie is very much the fan’s pick for this week. Who will be the top American golfer at #TheOpen? Lancashire native Tommy Fleetwood and world number 12 Justin Rose were firm favourites here claiming 78% of the available vote. 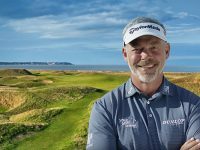 Rose was able to claim top spot with 40% but Fleetwood’s 38% certainly suggests our twitter followers are backing him for a good finish on a course he is very familiar with having played his amateur golf at nearby Formby Hall. Surrey’s Paul Casey claimed 13% of the vote with 9% claiming “Other” with both Lee Westwood and Ian Poulter, who finished 2nd behind Padraig Harrington in the last Open Championship played at Royal Birkdale. Who will be the top English golfer at #TheOpen? A Single figure golfer with a swing flatter than Matt Kuchar. Have been lucky enough to play golf all over the world and would put Barbados, Scotland and the Algarve in the top 3 places I've played.